This entry was posted in Uncategorized on October 21, 2018 by techydiy. 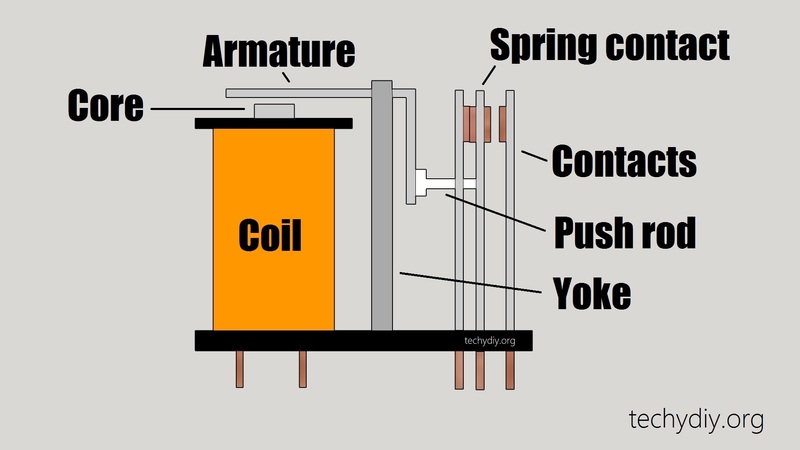 How does an Electric Relay work? Relays are electrically operated switches, which allow a low-level electrical signal to control a separate larger electrical voltage or current. Several types of relays are available to suit different applications, including reed relays , automotive power relays , latching relays , contactors & coaxial relays. A relay is an electromechanical device that consists of a number of parts, including the Coil, core, armature, yoke, contacts, spring and the push-rod. This entry was posted in Uncategorized and tagged arduino, Relay on February 7, 2017 by techydiy. This entry was posted in Uncategorized and tagged archery, arrow, cheap, Dimpa, how to, ikea, inexpensive, make, target on July 31, 2015 by techydiy.